Hi everyone! 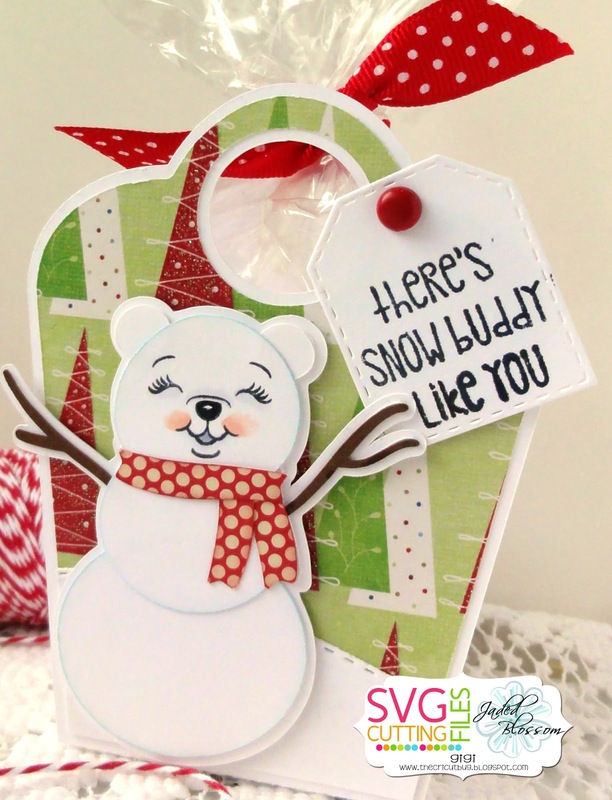 This is GiGi from The Cricut Bug and I have a project to share. 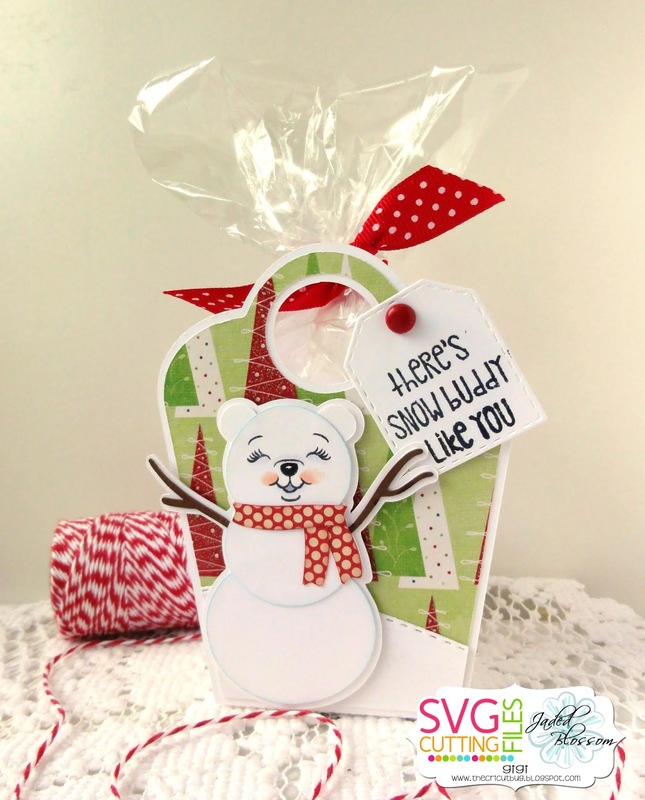 I used the Scallop Trapezoid Handle Bag and Snowman Polar Bear to create this gift bag. I cut out the Scallop Trapezoid Handle Bag with my Cameo and added the font mat layer along with a snow layer cut with the Jaded Blossom Border Dies 2. I cut the Snowman Polar Bear and stamped the face using the Peachy Keen Stamps Polar Bear Fun stamp set. 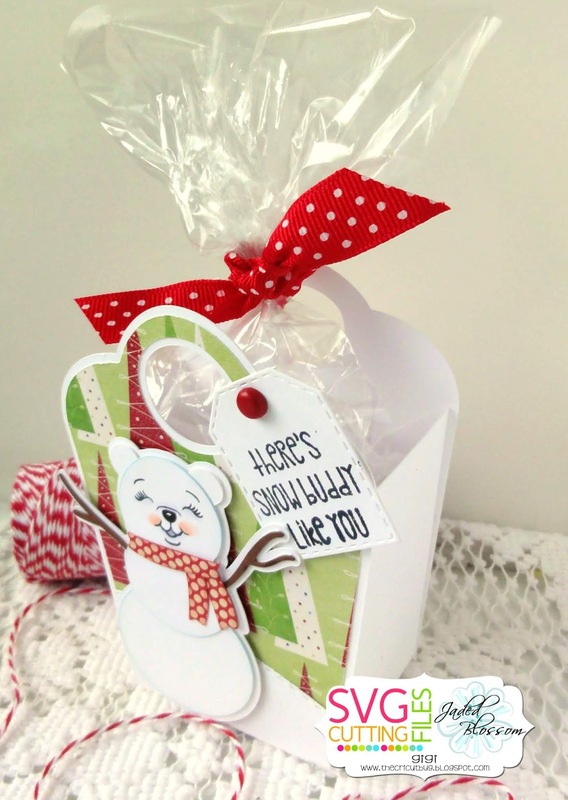 To finish, I cut the tag using the Mini Tag Dies 2 and stamped the sentiment from the White Christmas stamp set. This is just adorable!! Awesome Job! !